We're lucky to have a lot of hummingbirds buzzing about our yard, pollinating the garden as they frolic from blossom to blossom. This year I received a hummingbird feeder, together with Mom's "secret" recipe for homemade hummingbird nectar, to help keep the hummingbirds thriving year-round. 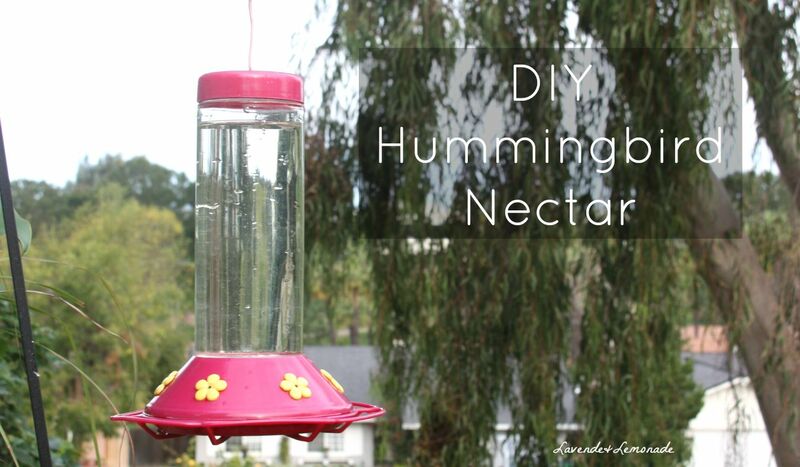 Mom has been making her own hummingbird nectar for years, since she learned that the red dyes in store-bought nectar can be harmful to the little fluttering birds. Hummingbirds are attracted to red, so somewhere along the line someone decided that their nectar should be dyed red. As it turns out, a red hummingbird feeder with clear nectar is more than enough to attract the eye of hummingbirds and keep them coming to visit - and healthier for them. What's great about the clear nectar versus the ones you buy, is that it costs just pennies and takes only a few minutes to prepare. Boil the water, then dissolve the sugar into the water. Its best if you let the whole mixture boil for another two minutes to help remove any bacteria. Let the nectar cool, then pour it into the hummingbird feeder. It should be changed at least once per week, every 3 days is best. If the nectar gets cloudy, it has likely been invaded by bacteria and your hummingbirds will start looking elsewhere - time for a new batch. 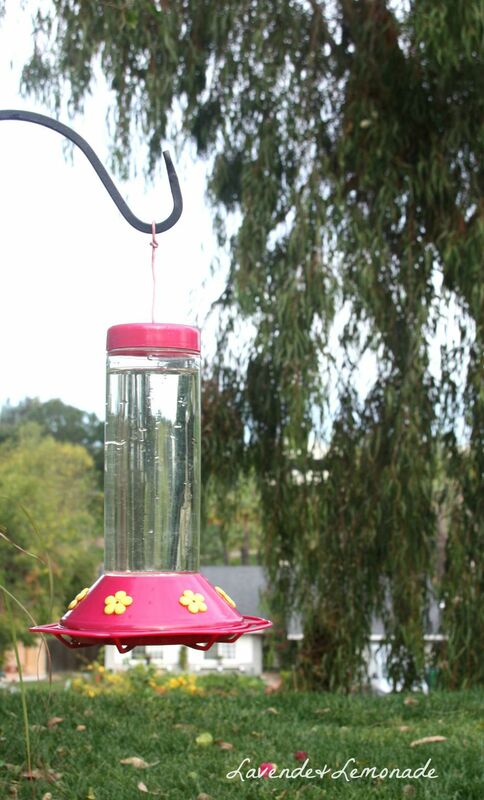 Be sure to clean out the feeder between refills, with hot soapy water and a bottle brush. If you notice mold inside, soak it in bleach water (10 parts water, 1 part bleach) to neutralize it, then rinse the feeder out thoroughly. Have fun watching the little birds flit about around your feeder filled with homemade nectar!